QENOS: WHERE ARE WE HEADING? Qenos is the sole manufacturer of polyethylene and polymers within Australia. If you see or use plastic in your household items, it was probably made by Qenos. 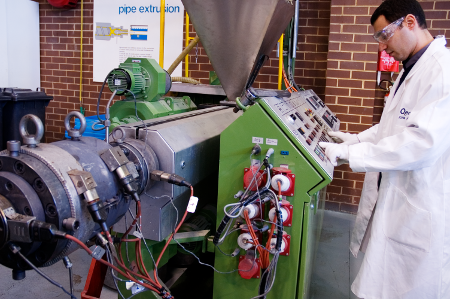 As the nation’s leading supplier of world class polyethylene and polymers, our mission is to drive growth in Australian manufacturing and keep our jobs local. Backed by global giant, Bluestar, we’re one of the largest supply chains in Australia, and we’re excited by the opportunities and challenges ahead of us. Our industry is changing and so are we. In an increasingly complex and competitive market, our future success lies in the skills, energy and agility of our people. That’s why we continue to attract and nurture the very best specialists in a range of disciplines. It’s also why we are hiring and developing talented people leaders, to support and empower our teams. We’re great at what we do, but we need to keep moving and capitalise on past wisdom. So we’re looking for a new breed of innovative thinkers and people leaders to help transform our approach and take informed risks, to drive excellence across our organisation as we move into a new, vital chapter. If you want to innovate in your field, or if you’re a natural at getting the best out of people, join us and help us create a sustainable future for Qenos and for manufacturing in Australia.